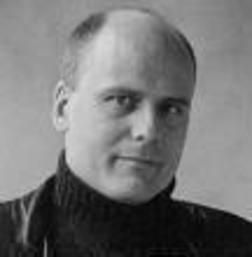 Canadian Stefan Molyneux is a self proclaimed Libertarian and host of Freedomain Radio. Stefan is very articulate when it comes to bringing to light the absolute nonsense going on within the elite political class as well as articulating the true meaning of libertarianism form a universal perspective. He is very awake to the conditioning that has been going on for thousands of years of what we commonly call civilization. He cuts through the veil of illusion and tells it like it is , Stefan says countries are nothing more than tax farms from the perspective of the parasitic elite class. This is becoming a common nickname for “The Powers That Be ” becasue it is exactly what they are , Parasites. Think of the tapeworm a name used frequently by Catherine Austin Fitts for the Elite Class and you will have the classic definition of this ruling oligarchy. Stefan also brings to light the way morality is used as a tool for by the social engineers to enslave us while the ruling class have no morality at all to worry about which give them the upper hand in all situations. For instance we are taught as individuals its wrong to force your ideals or opinions on others while in the public realm governments bomb and kill people in the name of saving them, its all quite insane when you examine it and bring it to light as Stefan does so eloquently. Stefan like many others in these Apocalyptic times is a political atheist , meaning he does not believe in the false left right paradigm we call modern politics. As you grow in awareness and do your research it’s quite easy to see behind the political veil of illusion and see that if you really want to know who is charge just follow the money , the real money. So the solution as Stefan says in the video below is to quit voting, quit encouraging this pointless endeavor that never bears any fruit or change that benefits us , the human race. Voting will only continue the cycle of madness , let the system collapse so everyone can see who was in charge when it collapsed. After the dust settles the real leaders can come forward , those that act out of love, those that have a unifying effect , and are not part of the bloodlines that have rules this planet for thousands of years . Time for some new blood ! Check out the books below by Stefan Molyneux ! Here Stefan Molyneux unveils the illusion known as voting .